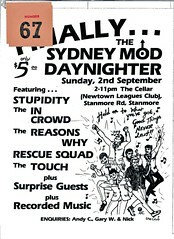 Tribal Sydney in the late '70s, early '80s. Mods roamed the streets on Vespas and Lambrettas from the 1960s onward, especially enjoying a re-birth with the 1979 release of the Who's film 'Quadrophenia' (which also helped rebirth the British film industry). 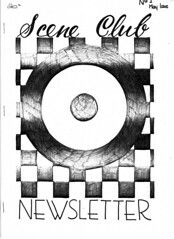 This is a scan of a cheap and cheerful Mod 'zine from circa 1980.